The 27th Agrotica boasts a 30% increase in exhibition participations, thousands of buyers from Greece, the Balkans and Europe, who will cross its “threshold”, and a rich programme of side events, congresses and colloquiums. It is being held from 1 to 4 February at the Thessaloniki International Exhibition Centre. The 26th Agrotica welcomed over 120,000 visitors, marking this year's Fair as a true 'feast' of the agricultural world. 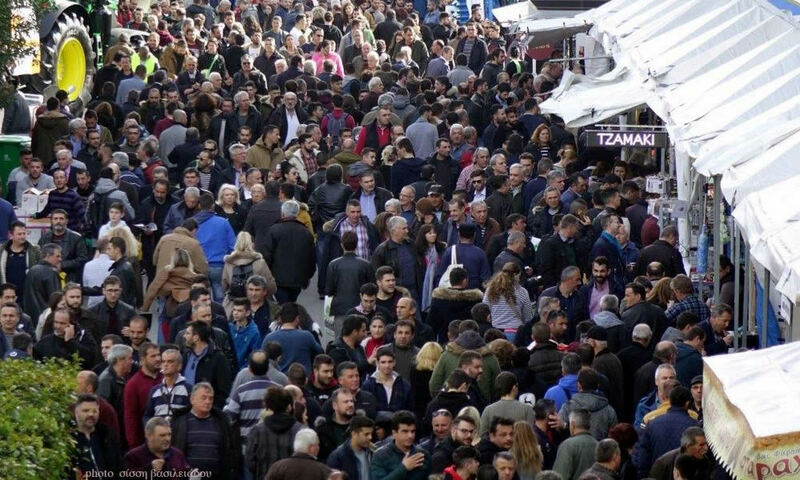 Despite the farmers' demonstrations and the difficulties in accessing Thessaloniki International Exhibition Centre during the four days of the event (28-31 January), 123,723 visitors gave their vote of confidence to the largest agricultural event in South-East Europe. The 26th Agrotica, open at Thessaloniki International Exhibition Centre from January 28 to 31 will be the best in the history of the institution. This year's event achieved a record number of participations, with over 1,500 exhibitors, as compared to 1,349 exhibitors at the 2014 Agrotica, and covers an exhibition area of 34,000 square metres, as compared to 30,929 square metres at the previous event. ‘Impressive’ was the word that characterized the popularity of the 24th AGROTICA exhibition, which ended last Sunday after recording an epic 42% increase in visitors compared to the same exhibition in 2010. The total recorded number of visitors exceeded the 47,000 which the 23rd AGROTICA had attracted in 2010 before the country had assumed such a dire economic status, and thus the turnout at the 24th AGROTICA can be deemed entirely satisfactory. and a rich programme of parallel events! 1410 exhibitors from 35 countries!